Tipard BlackBerry Converter Suite for Mac is a favorable bundle of two BlackBerry Converter Softwares, the BlackBerry Video Converter for Mac and DVD to BlackBerry Converter for Mac. Tipard BlackBerry Converter Suite for Mac possesses the function to convert video to BlackBerry, BlackBerry Curve/Pearl, BlackBerry 8800, BlackBerry 8300, BlackBerry 8100, on Mac. Similarly, it can rip DVD to BlackBerry AVI, WMV, 3GP, MP4 Video on Mac with overwhelmingly conversion speed and excellent output quality. Rip DVD to BlackBerry AVI, WMV, 3GP, MP4 Video on Mac with overwhelmingly conversion speed and excellent output quality. Convert video to BlackBerry, BlackBerry Curve/Pearl, BlackBerry 8800, BlackBerry 8300, BlackBerry 8100, on Mac. 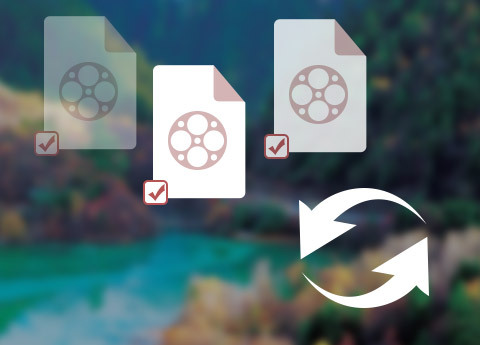 Trim, crop, merge, watermark video clips and adjust video effects. You can definitely get many different styles of videos made by yourself. Just do it! This Tipard BlackBerry Converter Suite for Mac supports the function of outputting different formats by only one time conversion. 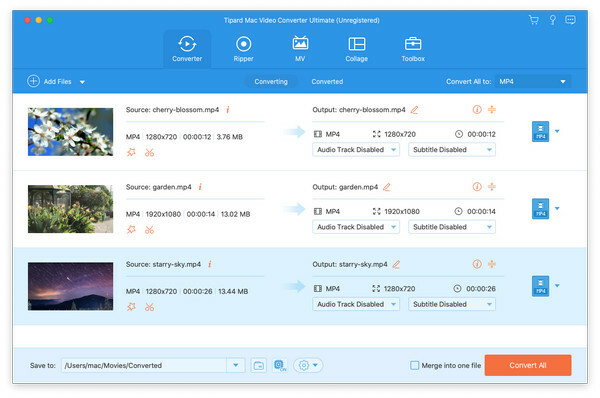 Tipard BlackBerry Converter Suite for Mac helps you to convert interlaced video to the progressive video, which can optimize the video effect. Tipard BlackBerry Converter Suite for Mac allows you to choose the audio track and subtitle for your converted video. With the intuitive interface and professional technology, you can get the target video easily at the overwhelming speed. You can know not only BSR Screen Recorder features accurately, but also other two good BSR alternative desktop capture programs recommend in detail. When you want to download music from BeeMP3 or other similar websites, you can learn more detail about the top 10 BeeMP3 alternative websites.